When I select a series/plot, I would like to identify where it came with more than just the Name member. How can I do that? I have a list of unsigned integer values taken from a data logger. I bundle the values up in a class with some other information, such as the name of the sample and an ID string. Since I can’t data bind to the logged samples as-is, I convert them to a SciChart friendly “LineRenderableSeriesViewModel” and add them to a list of “ObservableCollection” that I data bind to a SciChart. I am currently trying the iOS Charting Library and want to implement a Column series with the drill-down functionality (when touching one of column points by end user). Does the charting component supports the hit-testing or selection feature to determine which point has been clicked at runtime? Is there a mechanism for binding, in a two way fashion, the collection of Selected points when using the IPointmetadata mechnism? Basically, I have a view which contains a table (DevExpress Datagrid) and a SciChart plot, where all of the rows are plotted on a line series. When the user highlights a row or rows in the table, the appropriate points should be selected on the graph. 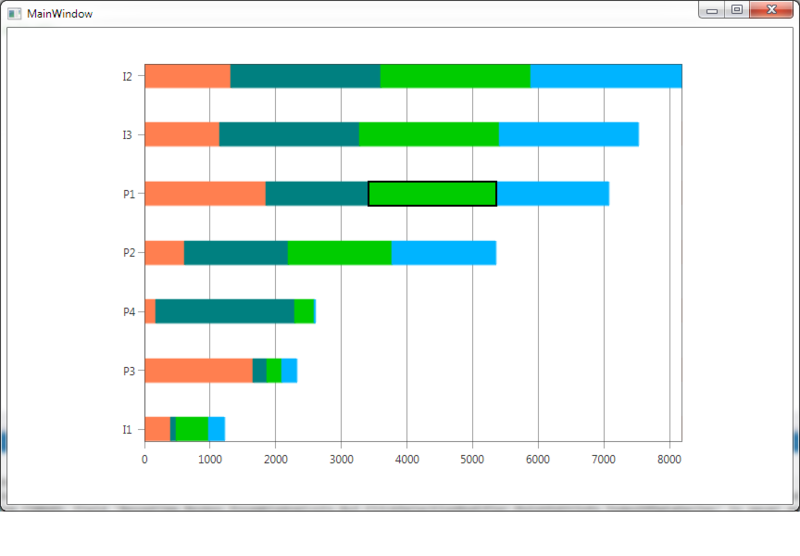 Also, if the user selects the points on the graph, the rows should be selected in the table. Ideally, I would like to bind each view’s SelectedRows (or SelectedPoints) to a common ObservableCollection. The trouble I am seeing is that the two views use different paradigms to represent Selected-ness. The point is only selectable if it is given an object that implements IPointMetadata, and its selection state is represented by the BizObjectViewModel’s IsSelected property. The selection state in the table is represented by its presence in the SelectedRows collection. This at least decouples the view model from knowing about the collection, but it kind of muddies the Viewmodel with piping that seems superfluous. It would be nice if I could bind the DataPointSelectionModifier’s SelectedPoints to the same collection that the table is bound to, but it appears that this is Readonly.